After over a year of eating nothing but fast food, I spent the next few years avoiding fast food restaurants. Yes even when I actually had full time work and could afford to eat out for lunch. That was when I discovered the wonder of Vietnamese restaurants. Growing up in Hawaii, Vietnamese restaurants were as easy to find as Starbucks are here in the Pacific Northwest. Instead of grease laden food that sits in your stomach and makes you tired, I was delighted to order fresh, light, flavorful food. Between the spring rolls and variety of banh mi sandwiches, I could get a quick meal with a drink for around $5. I used to grab lunch from the Vietnamese restaurant next door to work almost daily! Now that I have a family, and work from home, I rarely eat out. 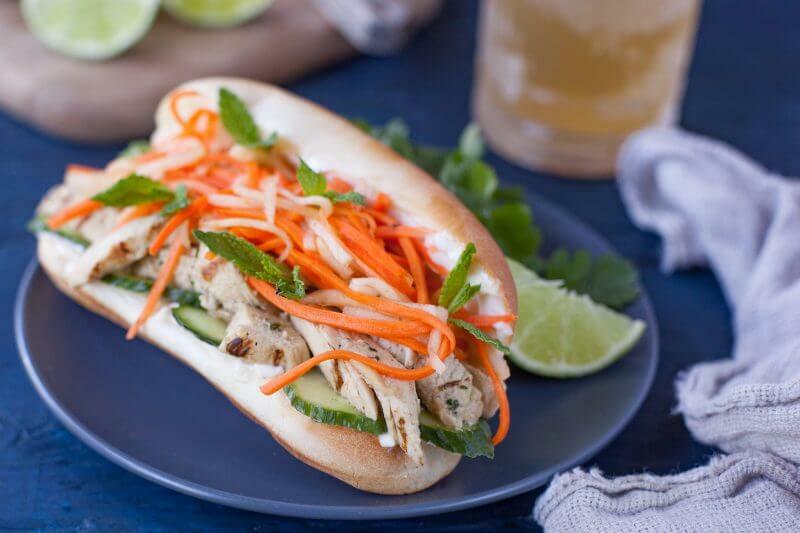 But I still crave those amazing banh mi Vietnamese sandwiches. 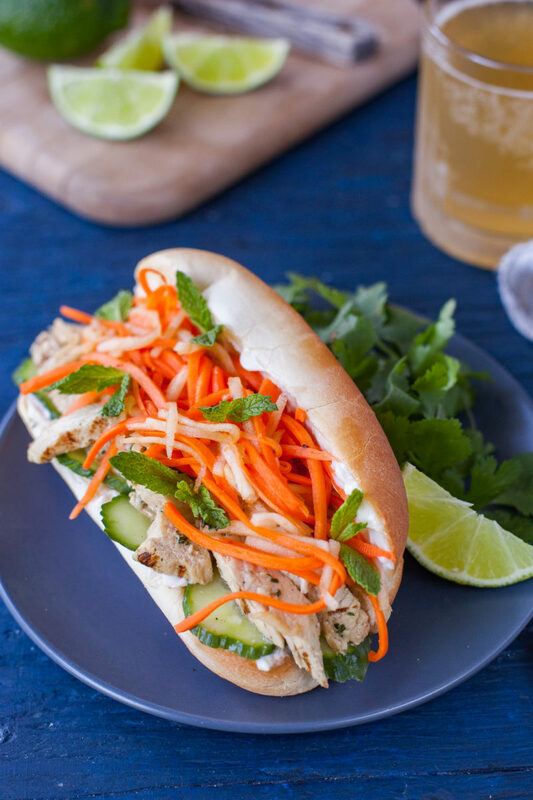 I love my steak banh mi recipe, but this grilled chicken banh mi is really my favorite Vietnamese sandwich recipe. 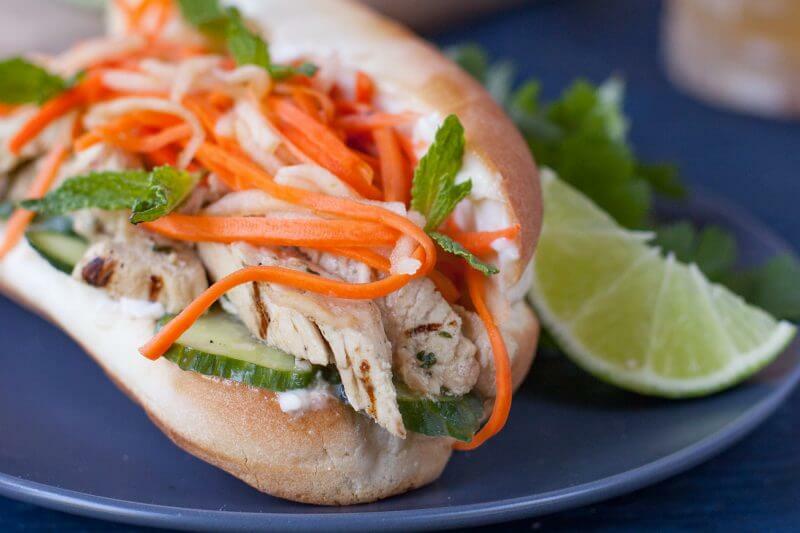 One thing I love about this Vietnamese sandwich recipe, is the versatility of the sauce. You can use the sauce as a marinade before grilling the chicken. But you can also toss already grilled strips of chicken with the sauce! It’s a great way to use leftover chicken, or to save time with store bought chicken. 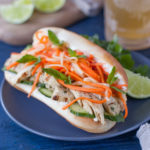 Sometimes I will buy the pack of Costco grilled chicken breast strips, and just toss the banh mi sauce in one of the bags so I can make sandwiches throughout the week. The quick pickle is super easy to make, and can be used immediately, or kept in the fridge for using whenever you’re craving a Vietnamese sandwich. If you are using chicken that is already cooked, just cut the marinade amount in half. 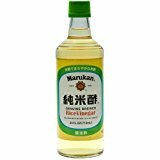 If you use the full amount, the flavor may be a bit too strong, especially with the uncooked fish sauce. For the pickled carrots and radish, the fastest and easiest way to get those this matchstick strips is to use a julienne peeler. It works great and is one of the most used kitchen tools I have! And if you haven’t bought daikon radishes before, you should be able to find them at most grocery stores. It looks like a long white carrot, similar to a turnip. If you can’t find them, you can use regular radishes sliced thin, or just use the carrots. 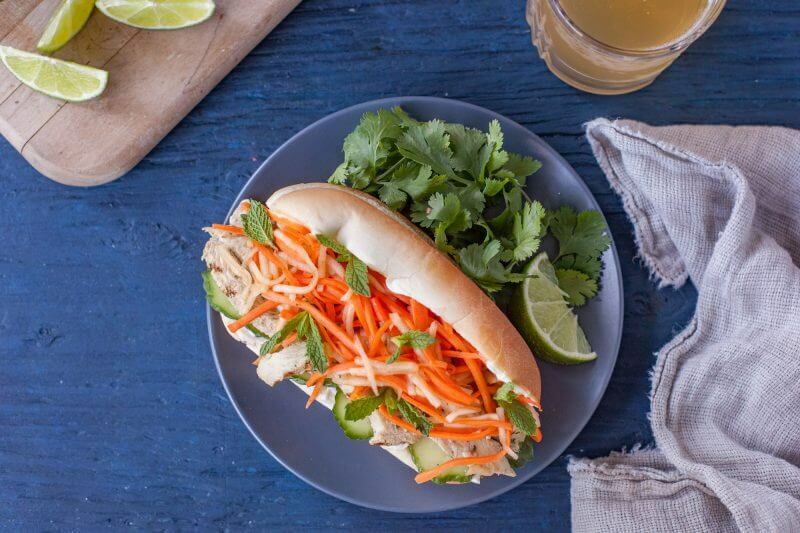 Here are all the brands that we used for this Vietnamese Sandwich Recipe. These are affiliate links which means if you purchase ANYTHING from Amazon using these links, we get a small commission without it costing you anything extra. Thanks for supporting our family business! Mix the marinade ingredients in a zip top bag. Add the chicken breasts to the bag and refrigerate at least 1 hour. Longer is better! Put the hot tap water and sugar in a jar. Close the jar and shake until the sugar dissolves. Add the vinegar, salt, red pepper, sliced carrots and radishes. Close the jar and refrigerate until ready to use. Heat the grill to medium. Grill the chicken breasts for 5-10 minutes per side, until thermometer reads 160F internal temperature. Remove from heat and cover them with foil to rest for 5 minutes. Open the sub rolls and grill the insides for about 1-3 minute—until toasted. You can also toast them in the oven if you are making this with already cooked meat. Drain the pickled veggies. Slice the chicken into thin pieces. Spread the inside of the sub rolls with mayonnaise. Layer the cucumbers, chicken, pickled veggies, mint and jalapeños (if you're using them) in the rolls. Enjoy the best sandwich EVER! If you would like to make this recipe with chicken that is already cooked, it's easy to adapt. Just cut the amount of marinade ingredients in half. The toss the cooked, sliced chicken in a bag with the marinade. For the carrot and radish pickle, the easiest way to get julienne strips is by using a julienne peeler. 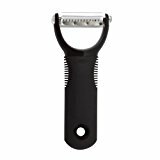 Here's our favorite julienne peeler. I used to eat this cake. It’s really delieicous.